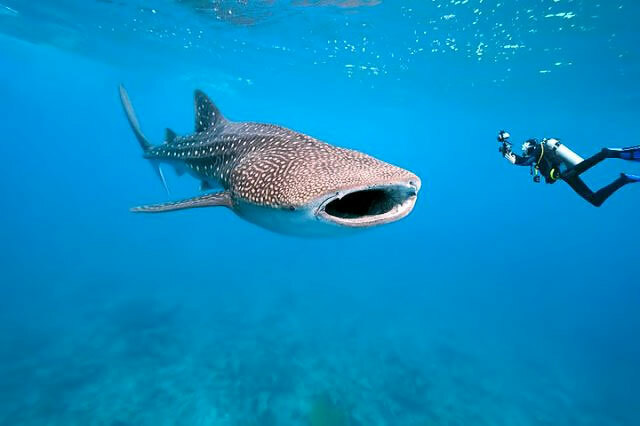 Few places on the planet experience the return of the largest fish in the ocean year after year, but around the full moon weeks in April, May and June, the whale sharks can be witnessed near Gladden Split in the south of Belize, due to the draw of the seasonal spawning of Cubera Snapper. Growing up to 50 ft in length, witnessing these enormous Whale Sharks is one of the most amazing experiences on the planet. Also look out for nurse and hammerhead sharks, stingrays, spotted eagle rays, barracuda, moray eels and even octopus, together with a vast kaleidoscope of reef fish including snapper, jack, angel fish, blue tang and grouper. If you’d like to head out to sea and try your chances at spotting and swimming with the Whale Sharks, Absolute Belize can craft a customized itinerary just for you, combining time at a luxurious beach retreat and enjoying day by day adventures, for an all encompassing Belize vacation – just get in touch.